Evolved out of an exploration in tapestry weaving, MINNA’s designs are informed and inspired by Feminist art, the Bauhaus, traditional craft, and vintage textiles. Employing a cottage industry approach, MINNA partners with master weavers and artisan collectives in Mexico, Guatemala, and Uruguay. In June 2017 the brand opened a store on Warren Street in Hudson, New York. In addition to selling the MINNA line, the store offers wares from plenty of other admired brands. We spoke with Founder & Creative Director, Sara Berks, about her start in Graphic Design at SVA and the journey that brought MINNA to life. 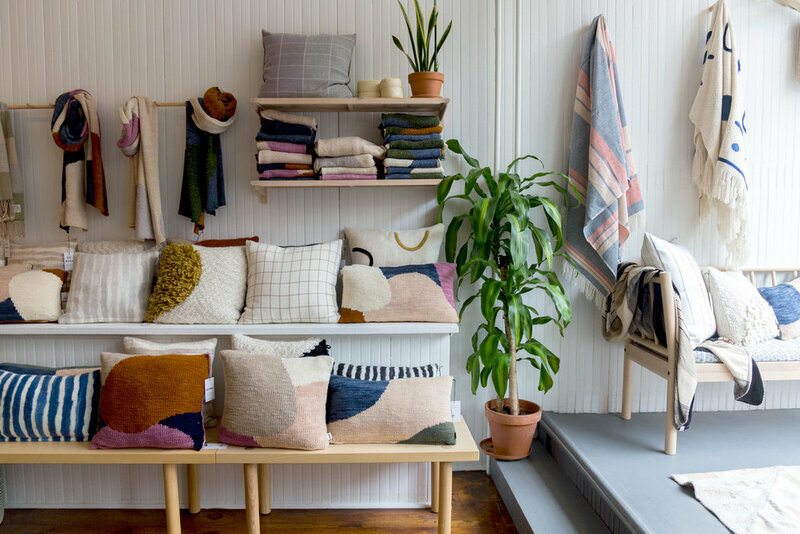 Below, read our talk with Sara and tour the MINNA storefront.